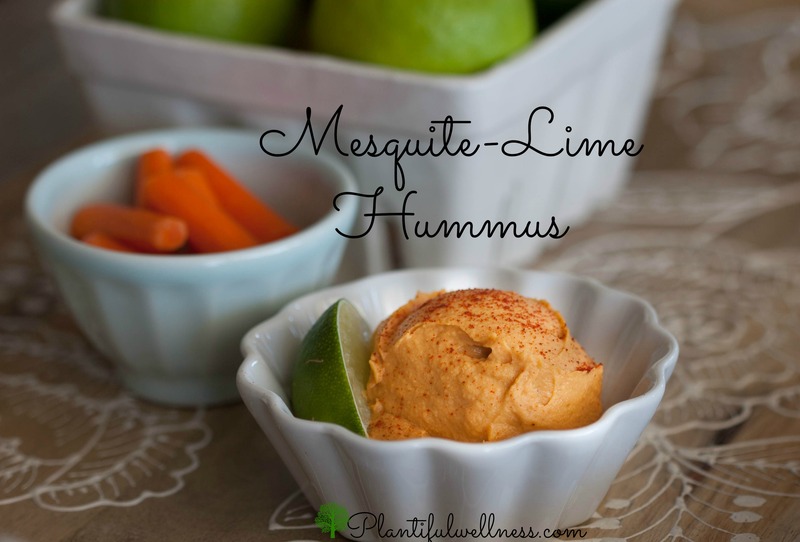 A delicious spin on basic hummus. Make sure to use fresh basil! Dry just won’t give you the same, wonderful flavor. Hummus is so easy to make – there’s really no need to ever buy pre-made, especially considering how much fat is in most store-bought varieties. I realize hummus recipes are a dime a dozen, and store-bought versions are widely available. However, the one thing they all have in common is a lot of fat. The average prepared hummus contains 4 grams of fat for 2 tablespoons. I don’t know about you, but I could eat that much in a few bites! Most varieties contain oil, which as I’ve said before, is not a health-promoting food. It’s concentrated fat and calories (14 g of fat for just a tablespoon), and truly unnecessary in a dish like this. Prepared hummus also contains tahini, or sesame seed paste. My recipe does too, but only 1-2 tablespoons for the whole batch, which is much less than other recipes or store-bought versions. Use 1 if you want a really low-fat version, or 2 for a little more fat. You’ll see I list truffle oil as an optional addition. You don’t need it but it adds wonderful flavor. I like mine on the lemony side so I use 3 tablespoons lemon juice. Also, the amount of water you add is dependent upon how thick/thin you want the hummus. I always have a batch made up and ready to go. Recently, I spread about 2 TBS on a piece of whole grain bread, laid sliced tomatoes and sweet onion on top, drizzled with balsamic, and sprinkled with basil and pepper. I broiled it for 6-7 minutes. DELISH! See photo below. 2/21/13 UPDATE: I’ve always known cooking your own beans, as opposed to using canned, was a nutritionally superior way to go but I didn’t fully grasp how much better a dish would taste!! Oh my. I recently got a pressure cooker (best. thing. ever. ), and after soaking my chickpeas during the day (8 hours), I cooked them with water in the PC for 14 minutes. Then I made my hummus. SO creamy and flavorful. I really had no idea there would be such a marked difference. You don’t need a PC to make your own beans, but you do need to plan ahead. The forethought and time is worth it, trust me. If you use your own beans, use about 2 cups cooked for this hummus.